From 16–19 August 1945, at the peak of the rainy season, members of the Anti-Fascist People’s Freedom League (AFPFL) came together at the Naythuyain Theatre on Kandawgyi Lake in Rangoon. It was the first public gathering of the anti-colonial umbrella organization, which had started out in 1944 as a clandestine alliance of communists, the Burmese National Army (BNA) and the socialist People’s Revolutionary Party against Japanese occupation. In an opening statement, the AFPFL’s General Secretary tried to evoke hope that a peaceful world order, one granting freedom to all countries, was imminent. After all, the ‘forces for democracy’ had defeated the ‘forces of fascism.’ All of the big nations had come together in San Francisco to form a new league of nations. Most AFPFL members, however, could not have cared less about San Francisco and world peace. 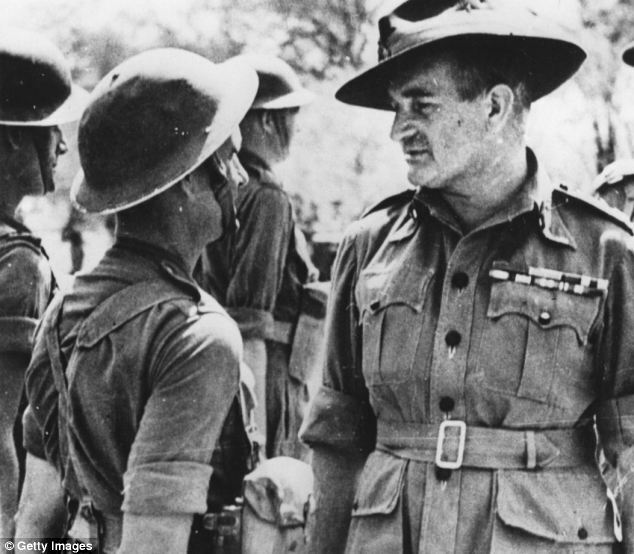 Burma was facing the restoration of British colonial rule after the end of the transitional military administration, without any prospects for independence in the near future. 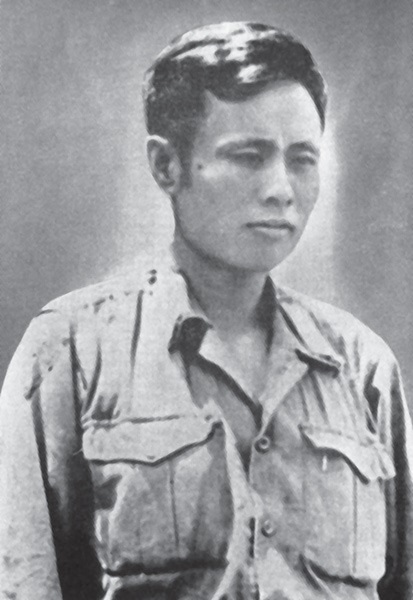 A few months earlier, during the anti-Japanese resistance, the thirty-year-old commander of the BNA, Bogyoke (Major-General) Aung San, had intended to prevent a return of colonial rule by all means, if necessary with a continuation of armed struggle. A shrewd strategist and political realist, he reckoned that the strength of his troops and their successful contribution in the fight against the Japanese gave the AFPFL bargaining power vis-à-vis the Allies. 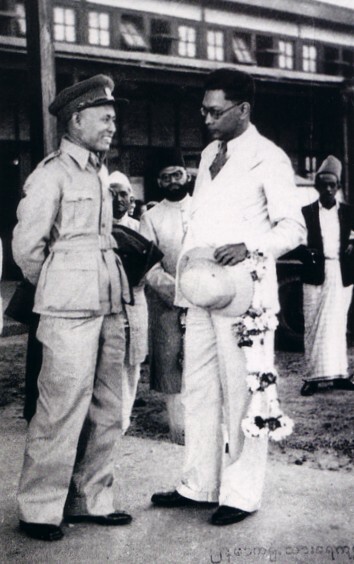 Hence, in the first meeting after the end of the resistance with General Slim, the commander of the 14th Army of the Allied Land Forces, he introduced himself as the military representative of the Provisional Government of Burma. He demanded recognition of his army as an ally of equal status. Yet, when General Slim rejected these demands and presented tougher terms of cooperation, including the subordination of BNA troops under the British military administration, the AFPFL leadership after some deliberation accepted without fuss. The position of the much older, influential communist president of the AFPFL, Thakin Soe, had prevailed. Soe had recently embraced Browderism; that is, that revolutionary means were no longer necessary. Independence and eventually communism could be attained by working within the given political system. Now, three months later at Naythuyain, tangible tensions had built up within the AFPFL against the communists. 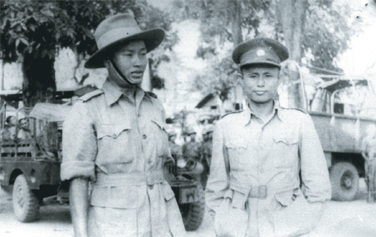 Peaceful cooperation had yielded no political gains, and resistance units were about to be dissolved or integrated in the colonial Burma Army. Ironically, AFPFL president Thakin Soe had discarded Browderism after consulting Indian communists and called now for an armed struggle. But this was Aung San’s moment. Thakin Soe was absent, temporarily ousted by his own party over charges of bigamy, so Aung San chaired the meetings and was determined to claim political leadership and recalibrate the AFPFL strategy. Two important Naythuyain resolutions were passed. One called for a provisional national government after the end of the military administration and the holding of general elections for a constituent assembly. The second, tabled by Aung San and tactically more significant, called for a new Burma Army with the resistance troops as its core. He was obviously most keen to keep ‘his’ troops intact. They were his strongest leverage vis-à-vis the British. 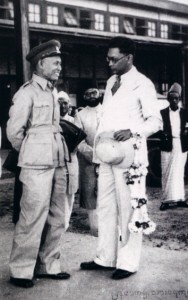 By 19 August, the last day of the meeting, it was clear that Aung San would lead the independence struggle. Thousands came to hear ‘Bogyoke’s’ first public speech since the end of the war. One wooden platform even collapsed under the weight of people. Aung San promoted himself as the one who could unify the movement and nation beyond party lines and ideological, religious and ethnic differences. ‘The people just believed him’, observed the writer Mya Daung Nyo. Naythuyain brought the lingering power struggle with the communists into the open, eventually leading to their expulsion from the AFPFL in October 1946. More importantly, Aung San regained the initiative here. It took another seventeen months for him to negotiate the transfer of power in London and head the provisional government, but his pressure on the British never ceased. He used the strategy he had favoured all along; political demands punctuated with threats of armed struggle. Susanne Prager-Nyein is a political scientist and independent scholar alternately residing in Chiang Mai, Thailand and Yangon, Myanmar. She is an Research Associate of Asia Research Center at Murdoch University, Perth and was a visiting scholar at the University of North Carolina at Chapel Hill. She has taught political science and history of Southeast Asia and global politics at Misericordia University in Pennsylvania. Her expertise and research interests are Burma's anti-colonial movement of the 1930s and 40s, civil-military relations and the political economy of military rule in Myanmar. She has written a political biography on Aung San, the leader of Burma's independence movement and articles on military rule in Myanmar. Tun Kyaw Nyein, M.B.B.S. Ph.D. is an independent political analyst who resides alternately in Chiang Mai, Thailand and Yangon, Myanmar. A trained medical doctor, he was incarcerated for five years for his role in the student uprising in Burma in 1974. After leaving Burma, he studied in the US and received a Ph.D. in health education from the University of Tennessee at Knoxville. He became a professor in community health and later Dean of adult and continuing education in different institutions of higher education in the US. He is a Research Associate of Asia Research Center at Murdoch.University, Perth and writes weekly articles and political commentaries for the Myanmar journal, Thuriya Ne Wun focusing on the political history of Burma and democratization. Thakin Soe, together with Aung San, was a founding member of the Communist Party of Burma. 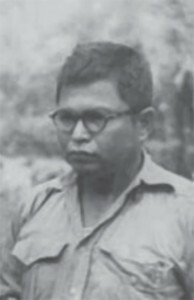 The leading role of communists in the AFLFP was undermined at a crucial time in 1945 by issues relating to Thakin Soe’s private life.